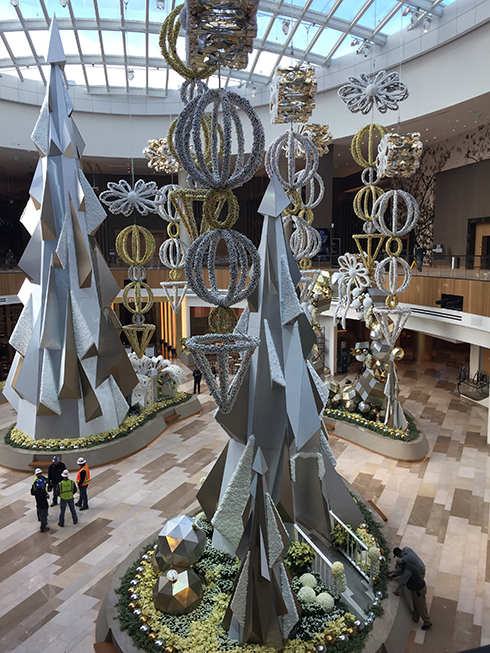 With its grand opening just days away on Dec. 8, MGM National Harbor opened its doors Monday for a media sneak peak at its new $1.4 billion casino and resort on the banks of the Potomac River. 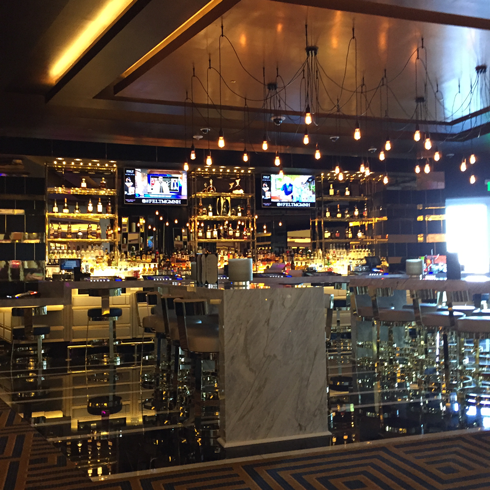 As one would expect from a Las Vegas-based entertainment company, there’s plenty of glitz and grandeur, but also touches befitting the nation’s capital. 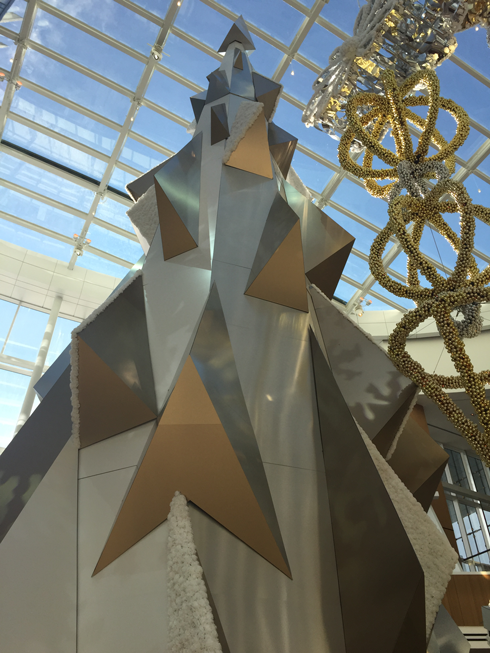 The iconic, 18-foot-tall, gold MGM lion guards the VIP entrance while a bedazzling display of holiday decorations fill the property’s two-story, light-filled atrium just off the hotel’s main lobby. There are more than 70,000 fresh flowers ordered from a local vendor in the white, gold and silver display by artist Ed Libby, which includes giant tree sculptures, miniature fountains and giant balls. During media tours, MGM officials allowed reporters to see much, but not all, of the property’s 1.7 million-square-foot space. 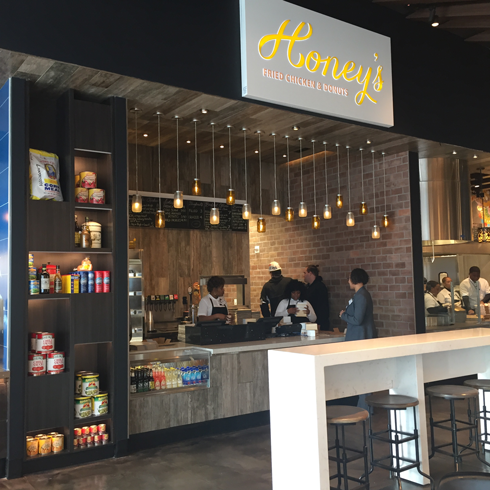 It includes a 308-room hotel, 3,000-seat theater, 125,000-square-foot casino, spa, national food hall, celebrity restaurants and the District, an 18,000-square-foot area of high-end retail shops, including the first standalone store for actress Sarah Jessica Parker. Off limits on the tour was MGM’s 16,200-square foot ballroom, theater, spa and hotel rooms. 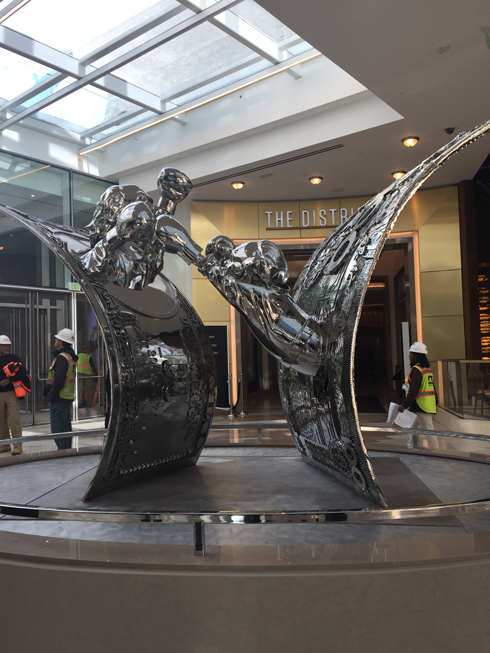 “We’re putting on the finishing touches,” said Patrick Fisher, executive director of hotel operations. Fisher, who grew up in Prince Georges County, Md. where the resort is located, said “it’s an amazing feeling” to have an MGM resort in his hometown where MGM agreed to fill 40 percent of the resort’s 4,000 jobs with county residents. “I’m happy to say that we have exceeded that quota. This is not just a job; it’s a career. You could stay here for years,” he said. MGM officials say this property is different compared to some of its Las Vegas casinos both in the amount of space devoted to outdoor terraces -- which provide striking views of the Potomac and the nation’s capital located just across the river -- and some of the custom touches that salute the greater Washington, D.C. area. 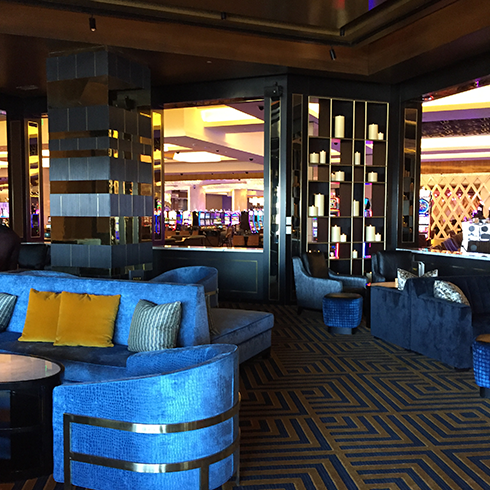 For instance, the Felt Bar and Lounge just off the casino area was designed to mimic the look of the National Archives in Washington. Candles glimmer from open-inset type boxes on the exterior, with the bar leading to areas of plush interior seating and an outside terrace. 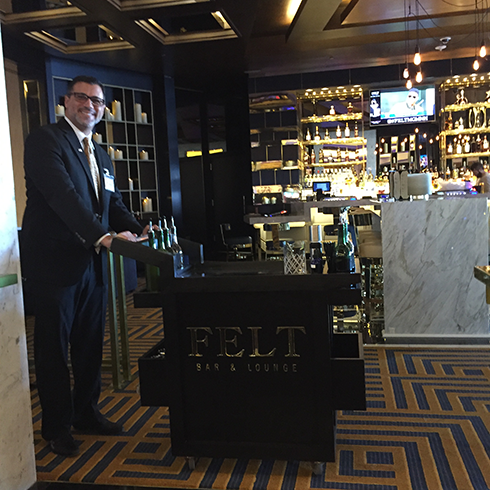 Patrons will be able to enjoy table-side cocktail service from one of the Felt’s cocktail carts, said Jordan Coppolla, the bar’s general manager. 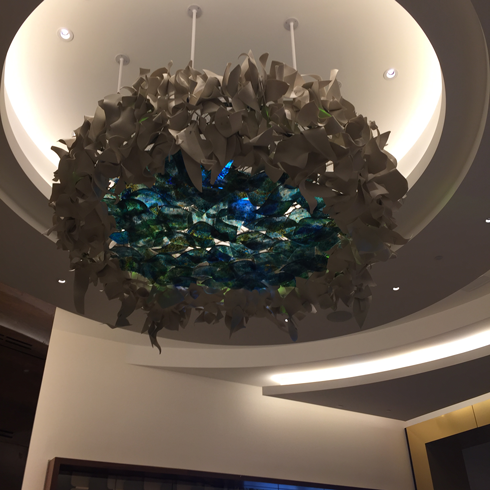 Art is evident throughout the resort. 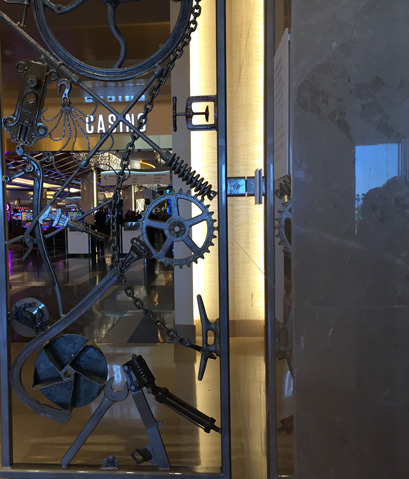 At the entrance leading into the casino is Portal, an elaborate iron sculpture by none other than Bob Dylan, the folksinger who recently won a Nobel Prize in literature. 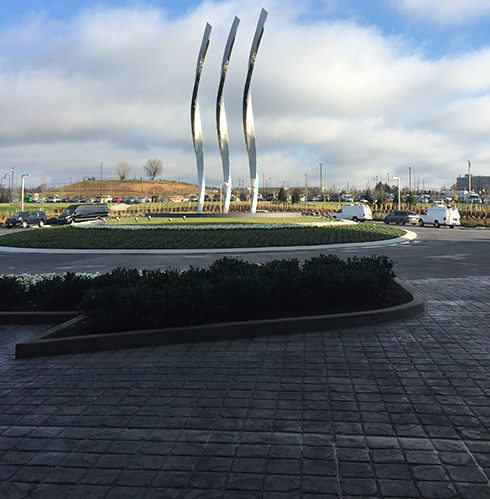 MGM commissioned the work, which includes different types of scrap metals. 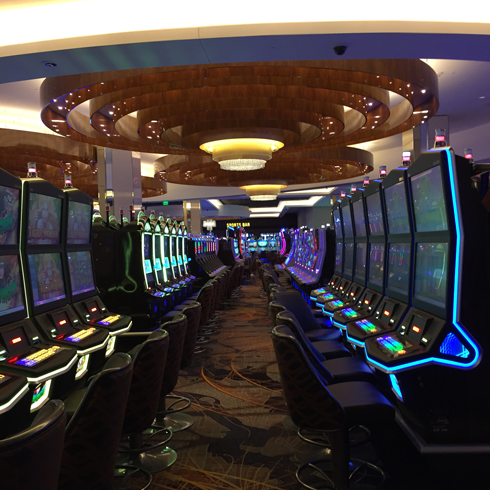 The resort’s 3,300 slots machines are outfitted with USB outlets, so people can recharge their cellphones while gambling. 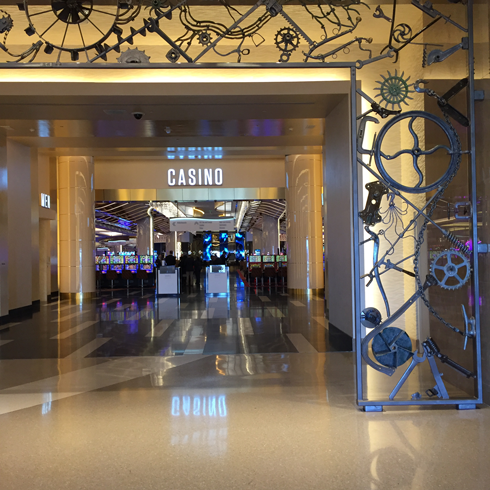 The casino definitely gives off a Las Vegas vibe with crystal chandeliers, marble bars and plenty of neon. MGM officials made clear that MGM National Harbor is more than a casino. 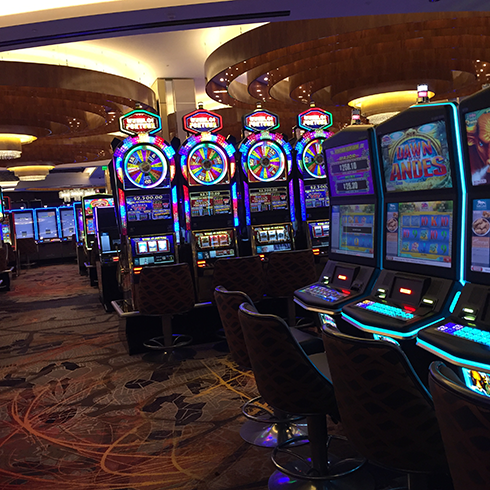 Gaming operations provide about 38 percent of the entertainment company’s overall revenue, with tourist business and conventions an important revenue generator as well. 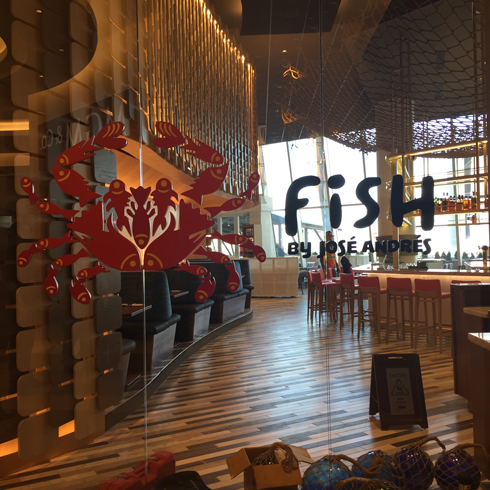 Fisher said MGM has been collaborating with Old Town Alexandria, located just across river from the resort by water taxi, and Northern Virginia on potential events. 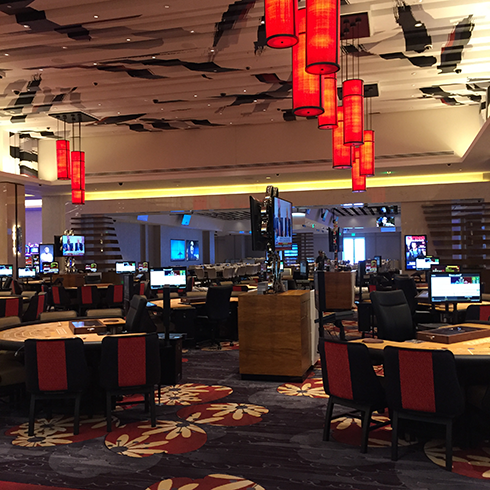 Opening festivities continue with an 11 a.m. press conference on Thursday, and the resort’s opening to the public at 11 p.m. that night.